A week before Christmas 2017 I found that I was unable to open the boot door of my Nissan Note. I googled this problem and found out that a number of others had experienced the same difficulty and that this was a well known problem with Nissan’s. The suggested solution was to lower the back seats, climb into the boot space, prise off the door panel and release the door mechanically. It then seemed that there was probably something wrong with the wiring to the electronic lock which needed addressing. Years ago I would have tried to fix it myself, but I feel those days are long gone as I am not as agile or as confident as I once was of working on cars in confined spaces. So I phoned a local dealer and discovered that they were all booked up and was also told that I needed to pay them £50 to diagnose the problem. It seemed to me I had already diagnosed the problem. The door was jammed and it should not take a specialised dealer mechanic long to fix it. However, modern cars are different animals to the vehicles I drove twenty or even fifteen years ago. They are electronically controlled moving machines regulated by micro computerised systems. Car doors used to be opened by simple lock and keys, but now they are mostly unlocked, as is the case of my Nissan, by pressing a button on a key fob which can be done several meters away. These convenient innovations are useful as usually a noise sounds and the indicator lights flash, which make it easier to locate a vehicle in a busy car park that. Useful, that is until something goes wrong. In my motorcycling days in the 1970s and 1980s, I was able to fix most minor mechanical problems myself. Spares were readily available and there were printed manuals that could guide your way (For those, interested check out my ebook Bike Travelling Man: a life with two motorcycles at https://www.amazon.com/dp/B00W1S92K8). But modern vehicles are governed by computerised engine management systems and on-board communications gadgets link your mobile telephone and satellite navigation devices to controls on the dashboard. It is small wonder that when something seemingly simple goes wrong the average motorist has not got a clue how to fix it. Thus, it seems that the vehicle owner who is readily able to repair his own means of transport is now a creature of the past. 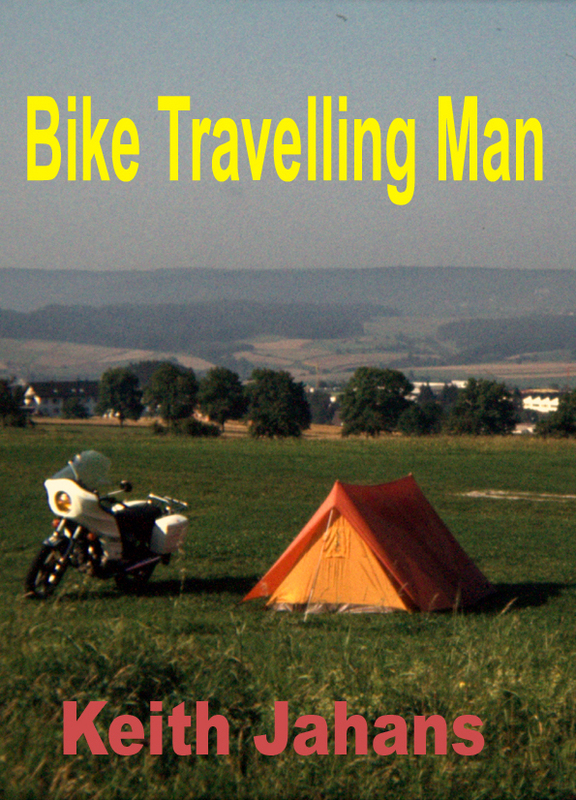 I am excited that my book, “Bike Travelling Man,” made the top 20 best seller list (#20) for Motorcycle ebooks Amazon UK Kindle Store. http://tinyurl.com/oulupn5. At the time of writing it is now in the top 30 because like the pop music charts the hits never stay in the same place for long.